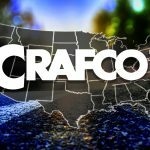 Pavement preservation leader Crafco Inc., has once again been honored by ROADS & BRIDGES magazine’s annual Contractor’s Choice Awards. Its latest merits include top distinctions in the crack sealing melters and road patching categories. Crafco’s honors — two gold — were bestowed for two of Crafco’s most technologically advanced units, the Crafco Magnum™ and the Crafco Super Shot™. 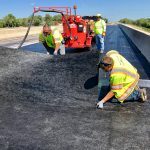 The Crafco Magnum provides for repair of potholes, pavement shoulders, utility cuts, fissures, and alligator cracks, boasting the highest production rate in the industry. The Crafco Super Shot is a compact, user-intuitive melter with numerous automation and safety features. 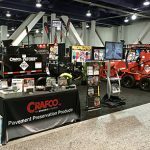 Crafco Super Shot has received the Contractor’s Choice gold award for five years running. Designed for superior efficiency and performance, it is the most widely used crack sealing melter in the world. ROADS & BRIDGES magazine receives thousands of nominations and ballots every year for its Contractor’s Choice Awards. Only contractors who use the equipment and products can vote, making this award direct evidence of on-the-job quality and performance.